Record songs at 5X faster speed with 100% lossless quality. Burn Spotify music to CD easily or share Spotify music via Email. Fix the Error 1000 issue in some circumstances. Support Vietnamese, Javanese and Croatian. Fix the slow-speed problem of conversion. Fix the issue that some converted songs have a silent period at 13 or 14 seconds. Fix the problem of failing to parse some Spotify album links. Fix the problem that the converted track starts with other songs. Fix the problem that the output audio doesn't match with the source file. Fix the conversion failure issue under the "YouTube Download" mode. Fix the conversion failure issue under "Spotify Record" mode. Fix the Error 1001 issue. Fix the Error 1004 issue in some circumstances. Support retaining Track Number of the song. Support Arabic, Hungarian, Catalan package. Fully Support the Windows 10 Store version of Spotify. Add function "Hide Converted" in the adding window. Fix the crash problem in some circumstances. Fix the problem of “The current playlist link is empty”. Add “Intelligent Mode” in setting window. Optimize the function of keeping output folder organized. Optimize the program interface, add some new features and fix some bugs. Fix the Error 1001 and 1004 issue in some circumstance. Fix the problem of retaining only single artist info when the music contains multiple artists. 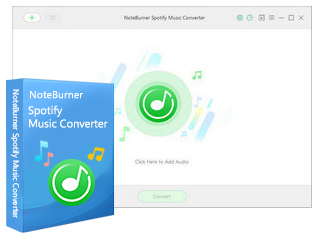 Convert Spotify music to MP3, AAC, WAV, FLAC formats. Support keeping ID3 tags after conversion. One click to burn Spotify music to CD and share Spotify songs with friends by Email. This Bundle can perfectly help you remove DRM from both iTunes audio files and iTunes M4V video files on Mac OS with lossless quality.